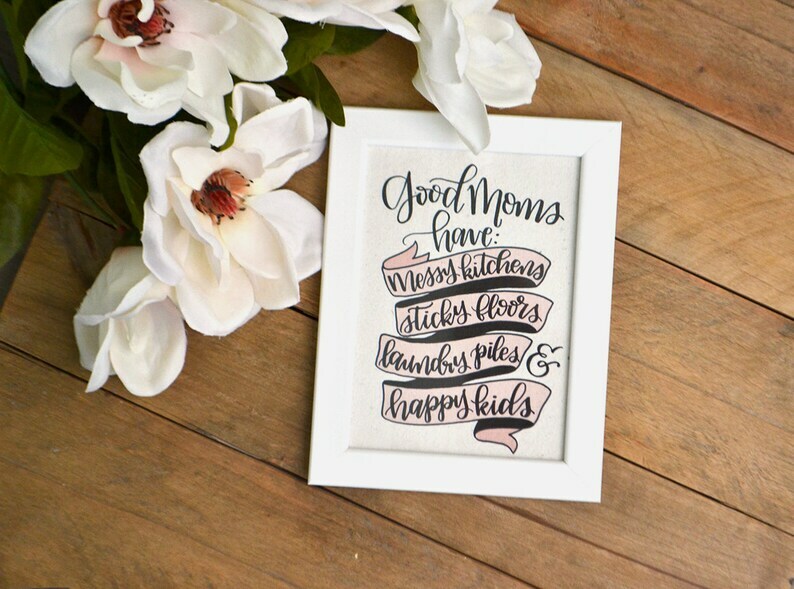 This listing is for a quote printed on handmade paper that reads, "Good Moms have: messy kitchens, sticky floors, laundry piles, and happy kids"
We print on handmade paper which is made by our hands. 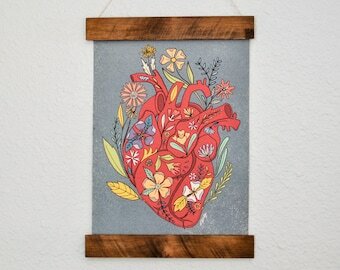 Sustainable and eco-friendly art made lovingly in our Texas home-based studio, hang a print to spruce up a room or give it to that wonderful person you admire the most. Artwork is created by us, scanned and printed with dye-based fade-resistant inks. Sorry, no other variations and sizes are available for this print. Shipping is 1-3 days, First Class USPS. Gift will be wrapped in Holiday appropriate paper with a note, if you choose. Receipt will be included but will NOT include price. Even more beautiful in person! The quality is excellent and the print has such a great look and feel to it. Very pleased! Thank you! Because Shop Witty Co. thrives on producing great quality handmade products, if you are not satisfied with our paper, please contact us and we will gladly work something out with you. However, if you are still unhappy with our products, please return them (in original condition) within 14 days of receiving them for a full refund. We do not offer refunds on customized items. It is up to you, the buyer, to double check any information you send to us so there are absolutely no mistakes on our part. All items are sent through USPS, First Class Mail, unless otherwise requested. Alternative shipping options are available, just ask us first. Additional shipping fees are the buyers responsibility. We are fluent in Spanish! There may be some items that can be customized for the language. Just contact us so we can chat about it! Hablamos español! Algunos articulos de venta pueden ser personalizados en español, solo mandame un mensajito!